Afraid of weaving handspun yarn as singles? Hog wash! Applying sizing to your singles before you warp will help you reduce abrasion problems, tame overtwist, and get weaving faster. In the Spring 2018 issue of Spin Off, Stephenie Gaustad shares a few tips on how to size your singles. Once you try it, you’ll be singing sizing’s praises, too! 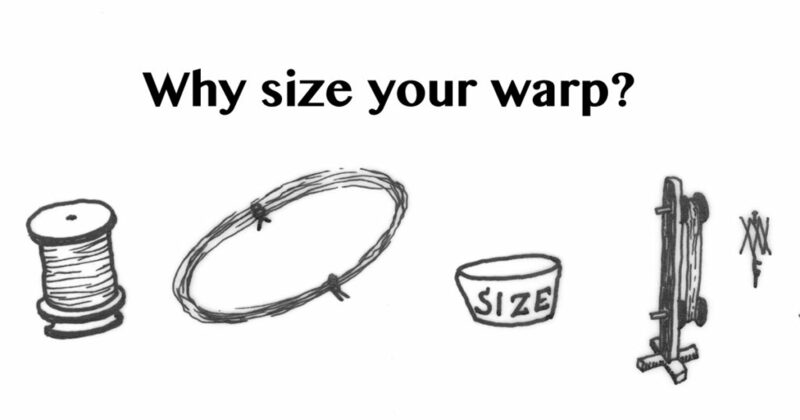 What is warp sizing (or size)? It is a temporary stabilizer, a starch or glue applied before the warp is dressed onto the loom. The charm of a size is that once its usefulness has passed, it simply flushes out with plenty of warm water. Glues such as gelatin, hide glue, and flaxseed mucilage are stiff protein-based sizes. They rinse out freely in warm, not hot, water. Starches such as boiled flours or rice water are cellulosic; they slip off in warm, hot, or cool water. Fabric should be cleansed of all sizing completely before steam-setting, boiling, dyeing, or steam-pressing either yarns or fabric. In the case of my first attempt at warp sizing, threading the loom was a dream. The warp was stiff like wire—no need to use a reed or heddle hook. Winding on the warp went smoothly. The sized ends were well behaved and slid right on without tangling. While on the loom, the yarn had greater body, with no tendency to fuzz up or shred. When an end broke, it was easily discovered and repaired. 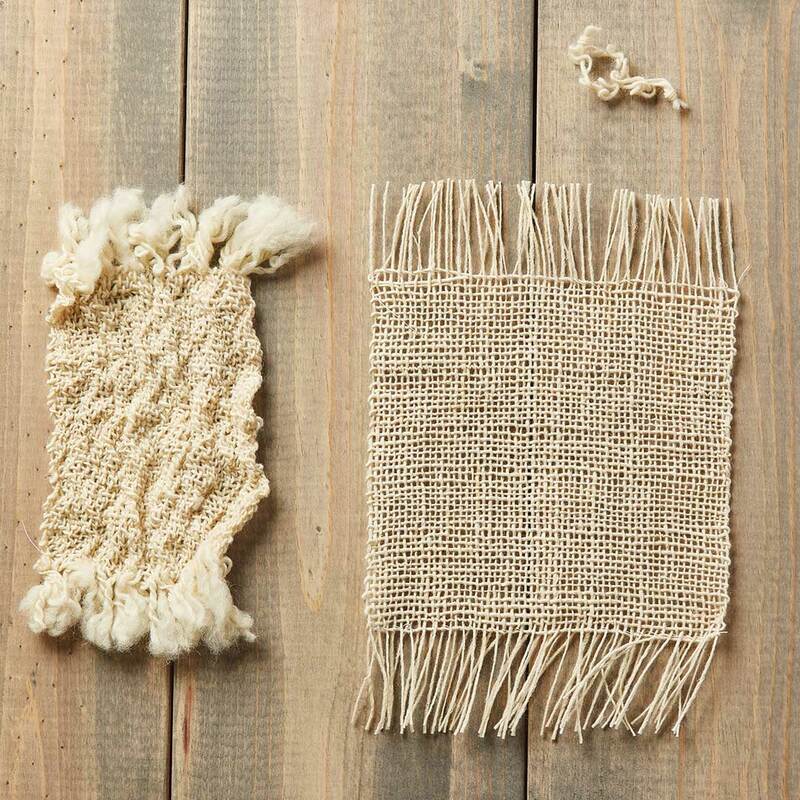 The cloth was superior to what I had woven before from either handspun or commercial yarn. A new day dawned: weaving handspun yarn as singles for warp and weft. When you have spun and skeined a sufficient yardage of handspun singles, it is time to size the skeins. Apply the size to the yarn in skein form. Wind the wet, sized skein onto a blocking reel to dry. When the size is dry, wind the stiff, sized yarn onto a bobbin. For decades, Stephenie Gaustad has taught fiber arts, spun, woven, dyed a ton of fiber, and apprenticed textile toolmaker Alden Amos. 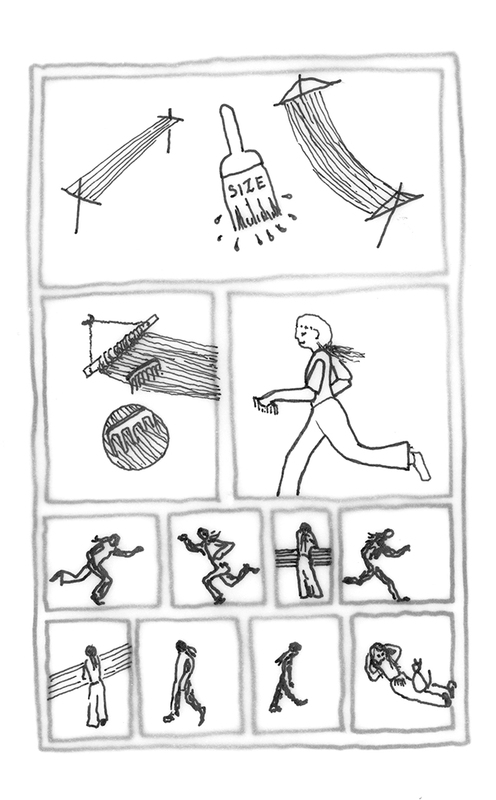 Her many articles have appeared in Handwoven, Spin Off, Ply, and Shuttle, Spindle and Dyepot. She is the author and illustrator of The Practical Spinner’s Guide: Cotton, Flax, Hemp and illustrator of The Alden Amos Big Book of Handspinning. To learn more about sizing your warp (and weft) and get a few of Stephenie’s favorite sizing recipes, download the Spring 2018 issue of Spin Off. Plus, learn more about weaving techniques in our “Ask Madelyn” blog posts! Learn tricks for weaving handspun yarn!